The best managers are those with a light touch; who trust, but know when to check in and offer gentle encouragement. Nancy Swarbrick, the departing senior editor of Te Ara, is one of these people. I have worked with Nancy since I started as a Te Ara writer in 2008 and she was my manager until 2014, when the first build of the website was completed. Since then, we have worked together updating Te Ara alongside Caren Wilton, Emily Tutaki and Melanie Lovell-Smith. Now that we are all moving on, it is time to pay tribute to Nancy’s 28 years in the public service. As a historian, it is fitting that Nancy has helped to make history through her contribution to some of New Zealand’s most important public history projects of recent decades. After graduating with an MA in English from Waikato University, she worked for the New Zealand Historic Places Trust before joining the Dictionary of New Zealand Biography in 1987. Bill Oliver was General Editor and the DNZB was housed within the Department of Internal Affairs. Nancy was then appointed as assistant editor, editing and research, by Claudia Orange (Bill Oliver’s successor) in 1989. In this position she was responsible for managing the workflow of the five English volumes of the DNZB, which were produced between 1990 and 2000. She also found the time to write five entries. All this prepared her well for the mammoth task that followed. Te Ara – the Encyclopedia of New Zealand began at the Ministry for Culture and Heritage in 2002, with General Editor Jock Phillips at the helm. Nancy was Te Ara’s managing editor, overseeing the ‘sausage factory’, as one Te Ara writer called it, with consummate skill. With her trusty whiteboard alongside her at all times, Nancy tracked all 980-odd Te Ara entries from conception to publication, and wrote around 44 of them herself, including the monumental Waikato regional entry. Outside the office she managed to fit in an MA in Public History from Victoria University, for which she graduated with distinction in 2003, and wrote the well-received book Creature comforts: New Zealanders & their pets, published by Otago University Press in 2013. As our ex-colleague Ross Somerville said to me, Nancy ‘is excellently well-read, knowledgeable on a wide range of subjects, an excellent writer and editor’. She is formidably organised and calm under pressure, someone who makes things happen without fuss. Approachable, kind and supportive – the finest of managers. I don’t think Te Ara could have done without her. made a start on the comprehensive update of over 50 entries on New Zealand Peoples. First published ten years ago, these are now in urgent need of revision. So far we have completed work on the entries about Indonesians, Filipinos and Malaysians and Singaporeans. Twelve more entries have been reviewed and are in the process of editing, resourcing and production, and there are another 40 yet to be reviewed. Completing the Peoples entries and various other entries in process, and undertaking the major, ongoing task of updating the 980-plus Te Ara entries (including the large number of science entries) will now be the job of the new Research and Publishing Group of Manatū Taonga. This team will be managing the site from 2 November, and I wish them well with that important responsibility. The title of this blog, ‘Beautiful people’, comes from the hit song ‘Sensitive to a smile’ by Herbs, which features in our entry about the East Coast, written by Monty Soutar. The video was filmed by soon-to-be famous director Lee Tamahori and John Day on the coast in 1987, and, like the song, was a huge success at the time. Watch it, and you will understand why. 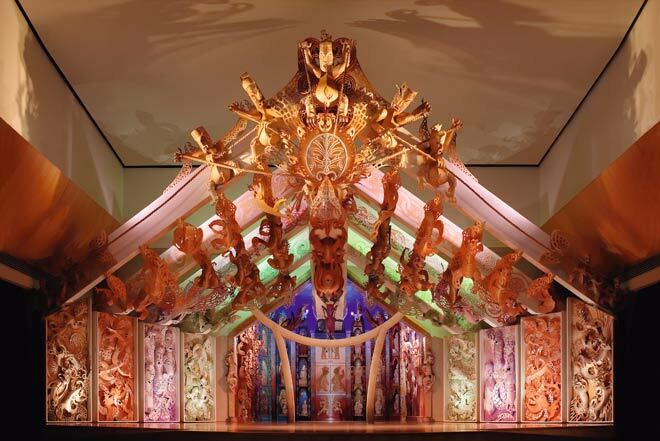 It is one of my favourite resources on Te Ara, and to me it exemplifies what has been created through the site – a rich, nuanced and affectionate portrayal of this unique country and its peoples. I would like to thank the many beautiful people I have been privileged to work with down the years, first during the Dictionary of New Zealand Biography project under the leadership of Bill Oliver and Claudia Orange, and then during the Te Ara project, until 2014 under the guidance of the inspirational Jock Phillips. It has been my great good fortune to belong to two wonderful teams, and I will never forget the laughter, the arguments, the camaraderie and the sheer hard work. Out of all that came two taonga: the DNZB and Te Ara – the Encyclopedia of New Zealand. I hope they will be cherished and looked after as they deserve for years to come. Finally, I want to pay tribute to an amazing, staunch group of women who not only helped to build Te Ara, but have done their best this past year, under very difficult circumstances, to put it on a secure footing for the future. Kerryn Pollock, Caren Wilton, Mel Lovell-Smith and Emily Tutaki, I salute you. May you find new paths, and be truly respected and rewarded for your great talents. We all know that an online encyclopedia like Te Ara is never really finished – to remain relevant it must be constantly updated and refreshed. That will be the challenge for our successors, and you, the users, will judge whether or not the goal is achieved.